Olay Eyes Deep Hydrating Eye Gel - 15ml - $35.99 - a fast-absorbing, cooling gel treatment that helps fight visible signs of fatigue on tired and dehydrated eyes with a hyaluronic acid formula that instantly hydrates for a wide-awake, refreshed look. The super-light formula is supercharged with hyaluronic acid, peptides, pro-vitamin B5, witch hazel and cucumber extract and quenches skin for long-lasting hydration. Used to using a richer cream around your eyes? It's easy to forget just how delicate the skin around the eyes really is and think that using a heavy cream will do a better job hydrating - it won't! Not only can using something heavy actually drag the skin around the eyes down and make you look like you have even worse bags but it can also clog the pores and give you those little white bumps (milia)! 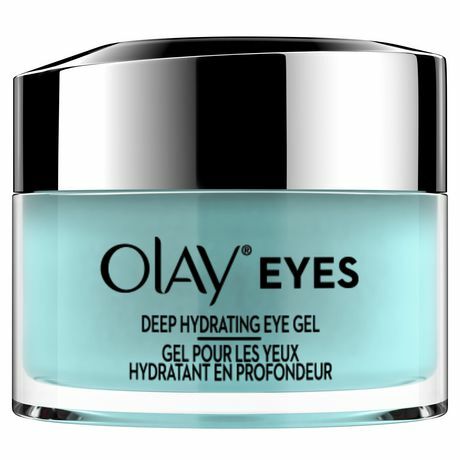 So do your eyes a favour and treat them differently then the rest of your skin - hydrate without smothering! Oh, I'm going to have to look for this. I would love to try it out.